Hernia injuries are serious injuries that can occur in a single lifting accident in which an employee lifts a heavy object, or in work-related repetitive use injuries that worsen over time, such as in repeatedly bending and lifting something over and over again on the job. If you have suffered from a hernia injury caused by a workplace accident or repetitive use injury, contact our workers’ compensation attorneys at Rechtman & Spevak today. You may be entitled to medical or disability benefits, depending on the degree of your hernia injury, which you can collect by filing a workers’ compensation claim with your employer’s insurance company. Hernia and Lifting Injuries in GA and the U.S. According to the U.S. Department of Labor, three out of every 100 full-time workers in the United States fell victim to a non-fatal workplace injury or illness in 2008. According to data collected by government agencies, the most common workplace injuries are hernia injuries, back injuries, machine-related injuries, exposure, and repetitive use injuries. Workers in any industry are vulnerable to hernia injuries when pushing, lifting or dragging too much weight. While hernia injuries can affect workers who repeat the same lifting motion everyday at work, this type of workplace injury can also result from a one-time exposure. About 75% of hernia injuries are medically classified as inguinal (groin) hernias, which involves a rupture of the abdominal wall, through which portions of intestine or fat tissues protrude. Some hernias of this kind aren’t immediately painful, but are likely to ache during physical activities such as lifting and bending. When a hernia is diagnosed, doctors will almost always recommend surgery, due to the risk of serious complications if the hernia is left untreated. 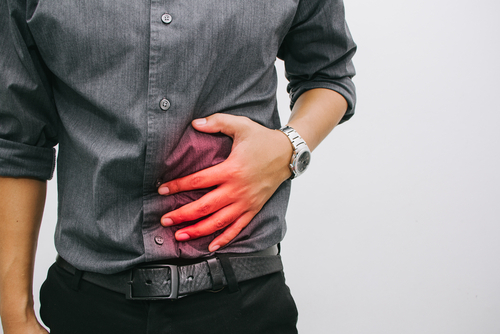 Many people make a full recovery within a few weeks after hernia surgery, although the operation itself may cause weakness in the abdominal region, and many hernia injury victims may suffer from recurrence. Unfortunately, a hernia injury typically results in a lengthy period of time off work, which often leads to a devastating loss of income. In some cases, a hernia injury victim may not be able to resume heavy lifting tasks at work, and may be forced to accept a lower-paying job, or even change jobs completely. Fortunately, this may not be the case for individuals whose hernia injuries are the result of a workplace accident or repetitive use on the job. Essentially, this legislation dictates than an injured worker bears the burden of showing that the hernia occurred due to a specific work-related accident and caused immediate pain. Because hernia injuries are so prevalent among certain types of workers, there are detailed regulations in place for the proper lifting and transportation of loads to reduce the incidence of hernia injuries on the job. If you or a loved one has suffered from a hernia injury in Atlanta and you believe a workplace accident or repetitive use to be the cause, contact our skilled hernia injury attorneys at Rechtman & Spevak today. Hernia injuries can severely inhibit a worker’s ability to carry out his job, and can interfere with many other aspects of his or her life. Our law firm is located in Atlanta, and our experienced work injury lawyers can help victims of hernia injuries at work protect their legal rights and pursue medical benefits or disability benefits through a Georgia workers’ compensation claim.